Prince William to the rescue! According to the Belfast Telegraph, the British royal helicoptered to the rescue of two stranded hikers this week in the mountainous Snowdonia region in north Wales. The two unidentified hikers, said to be in their 40s and 50s, had been reported missing on Monday after they failed to contact a friend who had been expecting their call. According to the Daily Mirror, a group of rescuers was dispatched to search for the duo, who had been forced to camp out in freezing conditions. Prince William, a Search and Rescue Operations flight lieutenant based in the Royal Air Force Station Valley (RAF Valley) in Anglesey, Wales, was reportedly alerted once the hikers were located and flew in to bring them to safety. 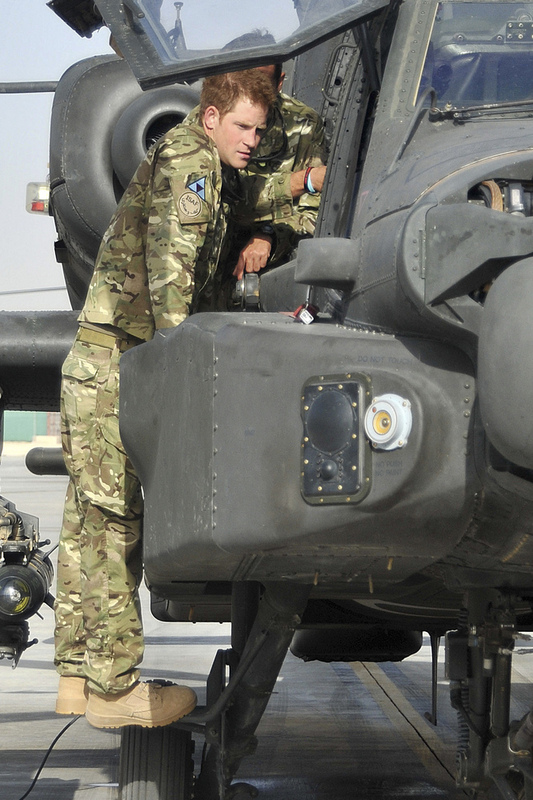 The 30-year-old Duke of Cambridge has served as a search-and-rescue pilot in the RAF since September 2010. Last August, the young royal made headlines after rescuing an injured Canadian hiker from the Anglesey coast. According to Canada's Globe and Mail, 58-year-old Darlene Burton was picked up in a helicopter by Prince William after she broke her leg during a 10-day hike. That same month, he piloted another rescue mission to save a pair of teen girls who had been swept out to sea while body-boarding off the coast of Anglesey. It reportedly took Prince William and his helicopter only 38 seconds to arrive at the scene. At the time, the BBC reported, the RAF called the mission one of its "fastest and shortest operations."